50 and 100 start at 6am. Marathon starts at 7am. 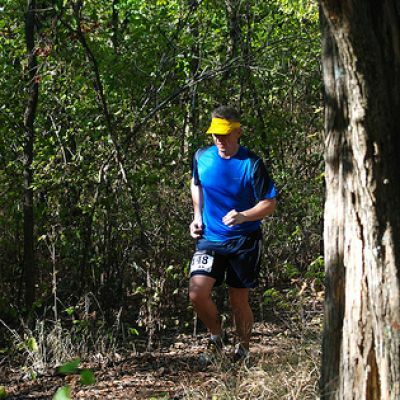 All three races are run on a 25 mile loop which is 90% wooded and 10% open area. This is a deceptively challenging course. The elevation will add up and the rocks and roots will require your attention. 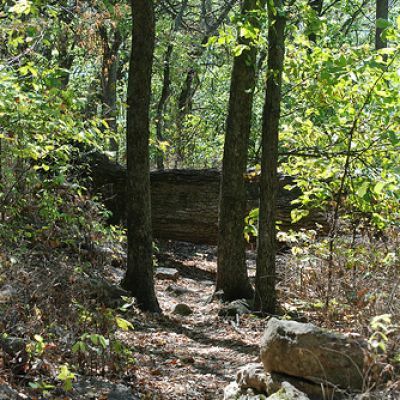 That said, Clinton Lake is a beautiful venue to run at with extremely well-marked and well-maintained trails to enjoy. 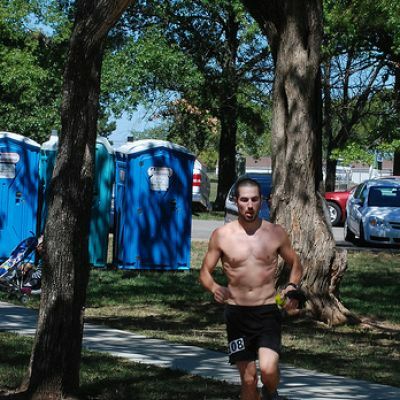 Marathoners will cover the extra 1.2 miles before heading onto the loop for their race. It's most likely to be all uphill on a Slip 'N Slide, or something equally nefarious. The course has three aid stations, one at the start/finish, one at Lands End and one at West Park Road, both of which runners will go through twice. Longest distance between aid stations will be West Park Road to Land's End - approx 6 miles. Shortest distance between aid stations will be approx 2 miles, when the runners do an out-and-back up Bunker Hill from West Park Road. Aid stations will have most everything you'd expect at an ultra along with limited options for the vegans among you. The one thing I'd suggest you carry with you or put in a drop bag is S-caps and whatever flavor of GU doesn't make you puke after a long day of running. 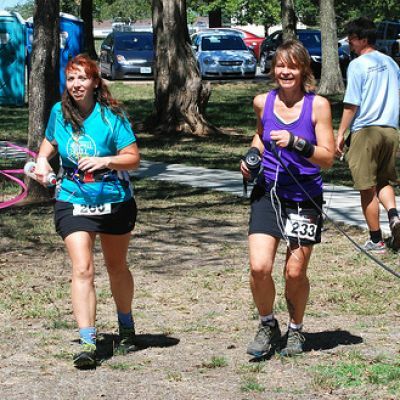 Each aid station will be staffed by experienced ultrarunners and crew who will be more than happy to pop your blisters, feed you M&Ms, tell you you look great when you really don't, and kick you out when you've been lounging for too long. There will be two drop bag locations not including the start/finish. Drop bags at Lands End will be accessible twice each loop as well drop bags at West Park Road. We learned our lesson the first year and won't share the contents of your drop bag with the local Raccoon population. 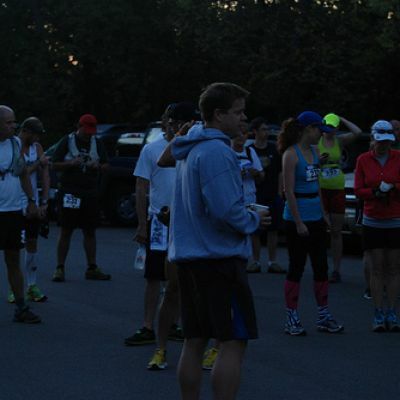 Crews can see their runners at the start/finish and at the West Park Road aid station (approx mile 12). 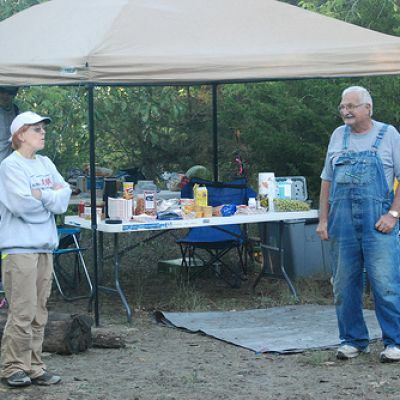 Your crew WILL have to purchase a park pass in order to access the West Park Road aid station! Daily passes go for just under $5.00. Pacers are allowed after 50 miles or 8 hours and may join at either the start/finish or at West Park Road. If you're an out-of-towner and are looking for a local pacer drop a note in the comments and we'll do our best to find you a date guaranteed to spend the rest of the night with you - can't beat that. 100 milers may drop to the 50 during the race but won't qualify for any awards. 100 milers may also drop to the 50 or marathon before the race begins, 50 milers may drop to the marathon before the race begins. 50 milers may not drop to the marathon during the race. The weather in Kansas in September is, at best, unpredictable. It may be as hot as 100 degrees or nearly freezing. It may have been raining constantly the two weeks leading up to the race or it may not have rained all summer. Anticipate anything and bring an extra pair of socks. The top three male and female finishers in each race will receive awards. 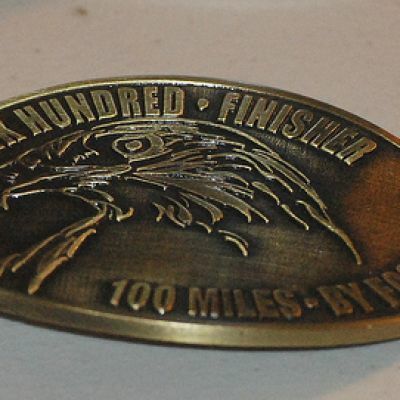 Sub 24-hour 100 mile finishers will receive a special belt buckle, 24-32 hour 100 mile finishers will receive a belt buckle, 50 mile finishers will receive a special award, and marathon finishers will receive a medal. 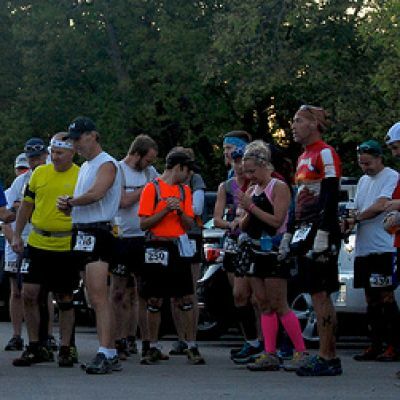 There will be a required pre-race briefing and dinner for the 50 and 100 mile entrants the night before the race. Marathon entrants are more than welcome to attend. We will provide the main course(s) (pasta/burgers/hot dogs), we just ask that you bring a side to share. The dinner will be at the start/finish and will begin at either 6 or 7pm. 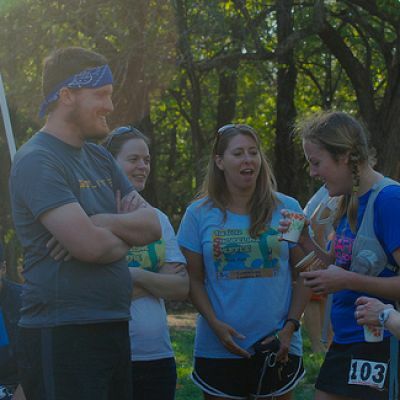 We (and the runners) always appreciate volunteers. If you're interested, contact co-RD Coleen Voeks: pigtailultrarunner@gmail.com. We have no official course records, as this is the first year doing the four loop course. I would like to point out the 2011 male and female winners times: male - Norman Decelles 23:15:30 and female - Coleen Shaw-Voeks 29:23:06. 32 hours for the 100 and the 50. Lodging information can be found here.